The New Jersey State Medical Examiner's Office acknowledged that Middlesex County, NJ had the highest growth rate for deaths associated with heroin, for 2014 (the latest data available). Middlesex County is in Northern-Central New Jersey, and includes the townships of Piscataway, Perth Amboy and Woodbridge. 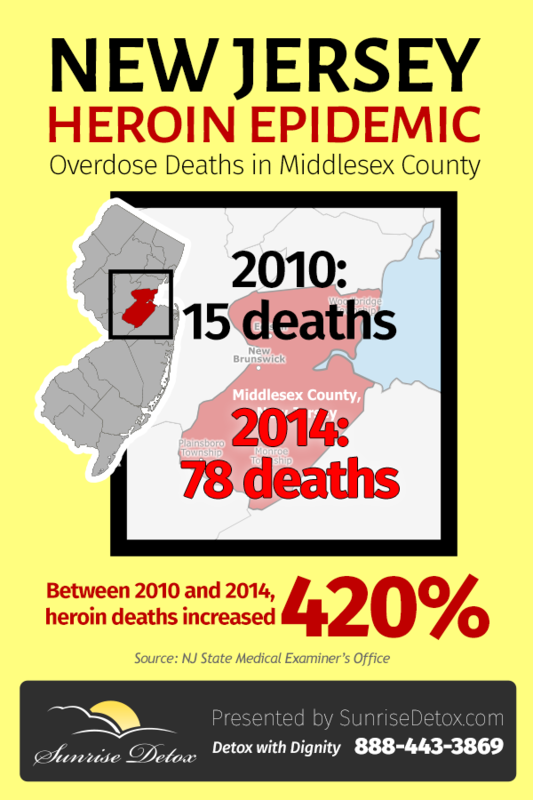 Between 2010 and 2014, Middlesex County experienced a 420% rise in deaths attributed to heroin overdose. During that same period, Middlesex County saw a population growth of only 3.3%.